We are a committed group of individuals from different backgrounds, upbringings, and beliefs working together to give back to the community we love, the world we live in, and the people around us that need friends who care. We all share the same common value that we have a moral and ethical responsibility to take care of people, wherever they may come from. The owners, managers, and all team members contribute in their own way to reaching out and giving back to the community. There is a tremendous amount of joy that we receive through service and donating to good causes that benefit our society. We welcome your suggestions in how we can better serve our community, and further welcome your participation and support in our efforts! In business, both the property management side and real estate side of our Company strive diligently to serve the needs of clients, property owners, residents, vendors, and team members. We have a passion for what we do, and we care deeply for those we work with. Our services are innovative, effective, and professional. We look forward to working with you, whether in business or in the business of serving and giving back! Below are charities and organizations we serve with and support. The Key Foundation - Veterans helping Veterans - Our mission is to help veterans in our community who are unemployed or homeless and at risk, to live independently by helping them become self-sufficient. In other words: to provide a hand up and not a hand out. Only 8% of our general population can claim veteran status but nearly 1/5 of the homeless are veterans. 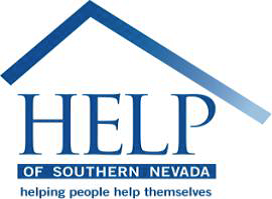 Helping Hands of Vegas Valley – Our mission is to provide free assistance services to local senior citizens to allow them to maintain their dignity & independence while improving health and daily living. We provide transportation for medical appointments, grocery shopping and other errands, pantry food assistance and respite care vouchers. The Samadhi Legacy – We rescue dogs from other shelters or rescue centers when they’ve run out of time or their medical bills are too high. Our 1st mission is to rescue, train, foster and find permanent homes for all our breeds, with an emphasis on Pit Bulls. It is estimated that only 1 in 600 Pit bulls will get a forever home. The rest will end their lives in a shelter or on the street. We are a dog’s last hope when others have failed them. Shannon West Homeless Youth Center – We provide a residential facility for youth ages 16 to 24 that are homeless, at risk of becoming homeless leaving severely dysfunctional families and escaping abusive and neglectful environments and homeless previous foster car youths. Most of our young people come from homes where there is a high frequency of substance abuse and alcoholism. We give them training and skills to further their education, employment, social and life skills. Make-A-Wish, Southern Nevada Chapter – We believe a wish is more than just a nice thing. A wish experience can be a game-changer for a child with a life-threatening medical condition. For wish kids, just the act of making their wish come true can give them the courage to comply with their medical treatments. Our vision is to grant and exceed the wish of every eligible kid. Nevada SPCA – We operate a no-kill animal sanctuary. We treat each animal as an individual, with a name instead of a number. We strive to match each rescued animal with people by personality and lifestyle in order to have the best chance to find a forever home where they will be cherished, appreciated and treated as a member of the family. Opportunity Village – We are almost entirely self-funded through the support of our fellow Southern Nevadans who realize the value in supporting their neighbours with intellectual disabilities. In our society, people with disabilities live their lives being told what they can’t do. We strive to break that stigma, encouraging the people we serve to follow their dreams and provide vocational training, community employments, day services and more. KNPR – Nevada Public Radio is a leading independent source of information and cultural expression and is a catalyst for civic engagement. For more than 3 decades KNPR has enhanced our quality of life by informing, educating and inspiring through public media. Boys Town – Right now, children here in our community are living in fear, seeking guidance and in desperate need of compassion. Wherever these children and their families are hurting, Boys Town is helping. We reunite kids with their families, find foster homes for others and provide a Boys Town family for those with nowhere else to turn. Boys Town Nevada directly serves nearly 1,600 children each year. St. Jude Children’s Research Hospital – Our mission is to find cures for children with cancer and other life-threatening diseases through research and treatment. No family ever pays for anything at St. Jude’s. It costs $2 million per day to operate St. Jude and public contributions provide 75% of the funds necessary to operate the hospital.